A Limited Partnership is taxed like a Partnership, yet it has many of the liability protection aspects of a Corporation. There are two types of partners in a Limited Partnership: the limited partners who invest in the Partnership but have no control, and the general partner (or partners), who controls the Partnership. The asset protection of a Limited Partnership is held by a “charging order”. This means if a Limited Partnership is sued, a judge can issue a charging order allowing the plaintiff rights to the Partnership interest. In other words, the creditor only gets what the general partner decided to distribute, which is often nothing. 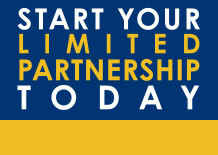 This makes the Limited Partnership a very powerful asset protection tool when utilized with other business structures. The problem with a Limited Partnership is that the general partner has personal liability for certain lawsuits filed by the limited partners against him or in a lawsuit filed against the Partnership itself.